The San Carlos Apache Culture Center Museum, at mileage marker 272 just east of the bridge over the San Carlos River, is now open 8 a.m. to 4:30 p.m. Monday through Friday. For a small admission fee, visitors can enjoy a well-planned, well-appointed and authentic little museum with equally authentic fine arts and crafts for sale in the gift shop. The museum was created in 1995 to allow the tribe to tell its own story. Of particular interest is the Window on Apache Culture Exhibit. It tells of the spiritual story of the beginnings of the people, and the history of how the Apaches “moved like the wind” across the Southwestern United states before being confined to one of the Apache reservations. It also tells the story of reservation life today, and about the Tribe’s vision for the future. As it stands, the museum is a worthwhile place to visit and talk with knowledgeable, modern Apaches. 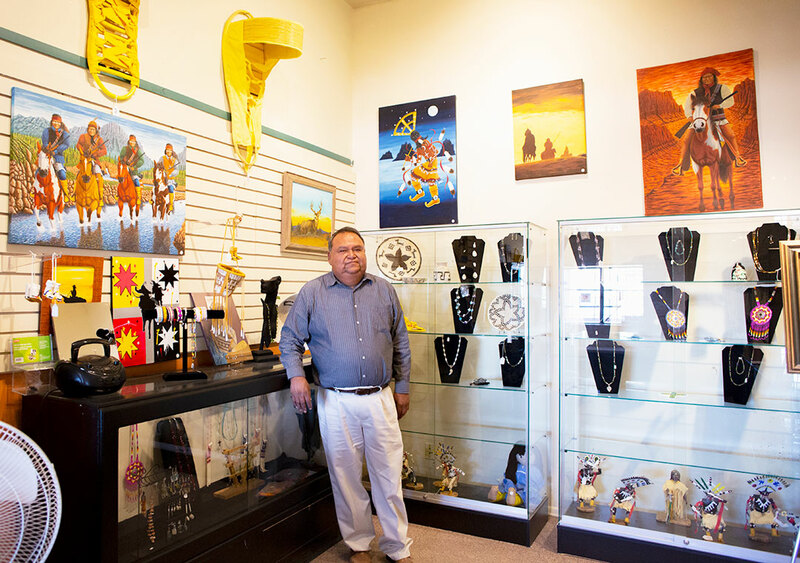 Currently, Director Marlowe Cassadore, is working on new exhibits, such as Apache Violin musical instruments and traditional Apache plants and foods. The Window on Apache Culture Exhibit tells of the spiritual story of the beginnings of the people, and the history of how the Apaches “moved like the wind” across the Southwestern United states before being confined to one of the Apache reservations.